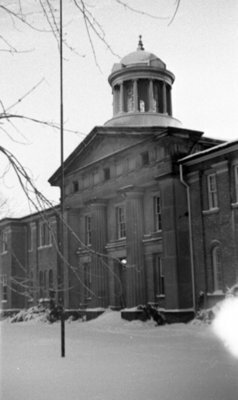 A black and white photograph of the Ontario County Courthouse in the winter of 1964. View shows the front of the courthouse looking south. Ontario County Courthouse, 1964, Brenton Lamb. Whitby Archives A2013_006_003A.